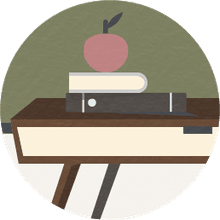 What Is the 5 E Instructional Model? The 5E Model of Instruction is the backbone of the new science standards. Colette Bennett is a certified literacy specialist and curriculum coordinator with more than 20 years of classroom experience. In the 5 E model of instruction, students construct knowledge and meaning from their experiences. This model was developed as part of a BSCS (Biological Sciences Curriculum Study) to improve the science and health curriculum for elementary schools. The 5 E method is an example of inquiry-based learning, in which students ask questions, decide what information enhances their understanding, and then self-assess. The 5 E method is a constructivist model of learning. It includes five stages: engage, explore, explain, extend, and evaluate. Each stage of instruction details the ideas, concepts, and skills needed for student inquiry. In addition, there are expected behaviors for teachers and students, as well as opportunities to demonstrate learning through application. The strength of the 5 E model is that it provides multiple opportunities for assessment and opportunity for differentiation. The research showed positive results when the 5 E model was adopted by schools. Standardized tests scores showed that those students in classrooms using the BSCS science program for two years were four months ahead of students in other classrooms. 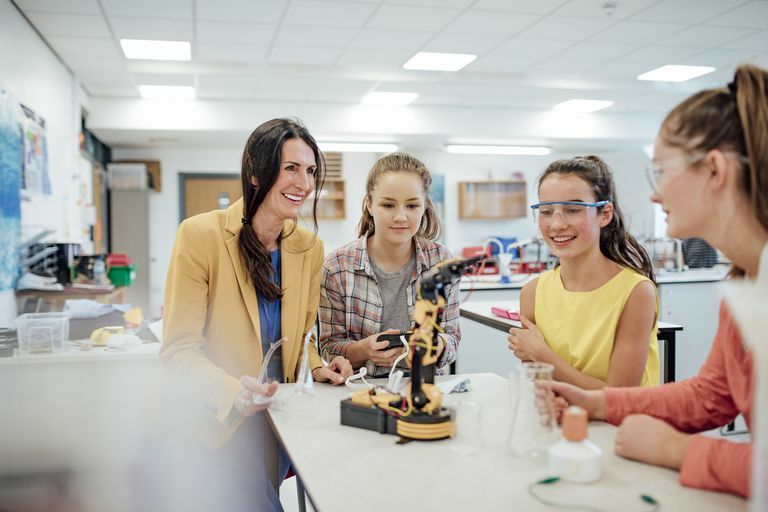 According to the published report, "the sustained use of an effective, research-based instructional model can help students learn fundamental concepts in science and other domains." In this constructivist model of learning, there are five stages in learning, and each stage begins with the letter E: engage, explore, explain, extend, and evaluate. To engage students, teachers should connect the topic or concept at hand with prior understanding. Students are encouraged to ask questions or draw on experiences. The teacher does not correct any misconceptions about the topic or concept but does make notes about revisiting these misconceptions. The purpose of the engagement stage is to get students excited and ready to explore the topic or concept. Once students are interested, they can begin to investigate the problems associated with the topic or concept. Students pose real questions and develop hypotheses. The key concepts in the topic are identified while teachers provide hands-on activities. Students develop the skills that are needed to test their ideas. The teacher does not provide direct instruction at this time. Instead, the teacher leads students through inquiry-based questions as students work cooperatively in groups. During this stage, time is given to students to refine their hypotheses as they begin to reflect on the results of their investigations. Students develop explanations for what they have already observed. They define the necessary vocabulary and connect their findings to prior knowledge. The teacher should support student discussion and answer student questions. While this stage is a direct instruction phase, the discussions mean that this new information is shared collaboratively. During this stage, students understand this information through a single example. For example, they may understand the life cycle of one species or a particular form of government. They will need the time, which is provided in the next stage, to internalize their understanding before comparing and contrasting. Research shows that students need to solidify their understanding by connecting what they have learned to something real. They need to move from a single example in the Explain stage to a generalization that can be applied in other examples. In applying this information, students may formulate new hypotheses. The new hypotheses can be tested in new investigations. In practicing new skills, students may take data and make new conclusions. In the investigations during the extend phase, students use the vocabulary and concepts in their discussions and their writing. In the final stage, students return to the engage phase to compare their earlier understanding of what they know now. They address any misconceptions they held, and the teacher makes sure these misconceptions are corrected. They reflect on what they know, and how they are now able to prove what they know in writing, discussion, and demonstration. Research shows that the evaluate stage should not be skipped. A unit test is not a part of this stage since the teacher can complete a formal evaluation after the evaluation stage. Instead, teachers can evaluate the learning that has taken place through a problem scenario where students should apply their new knowledge. Other evidence of understanding can be done through formative, informal performance, or summative assessments. Teachers who plan to use the 5 E model should be aware that they should use this design for units of two to three weeks. Each stage should be planned to include one or more lessons. The 5E Model helps students to use inquiry to connect new information with prior knowledge through practice and reflection. The teacher becomes a facilitator or guide who builds inquiry, exploration, and assessment into daily instruction approach. In a 5 E model for math, for example, a unit on rational numbers coming from mathematical and real-world situations could include converting between standard decimal notation and scientific notation. Where do you think that number should go on a number line? Do you think it could be placed in more than one place? Explore: Students use cards to order, match, and compare the rational numbers. Explain: The teacher provides examples of times people may use Scientific Notation; students practice organizing cards using what they know about Scientific Notation. Extend: Students try out their new understanding of rational numbers. Evaluate: Students create a visual representation to organize and display the relationship between sets and subsets of numbers. Teachers can use the evaluate stage to determine how well students can use scientific notation and convert numbers in scientific notation to standard decimal notation. In social studies, the 5E method can be used in a unit that addresses forms of representative government. Explore: Students explore different forms of representative governments including direct democracy, representative democracy, presidential democracy, parliamentary democracy, authoritarian democracy, participatory democracy, Islamic democracy, and social democracy. Explain: Students define terms and determine which representative government best fits the criteria from the poll. Extend: Students apply what they have learned about representative government to real-world examples. Evaluate: Students return to the information from the poll, adjust their criteria and then fashion a new form of representative government. In ELA, the 5 E model can be used in a unit designed to help students better understand transition words through visual and kinesthetic activities. Engage: Students are handed transition words cards that they can act out (first, second, after, later). Explore: Students organize lists of transition words (by time, to compare, to contrast, to contradict) and discuss how transition words change understanding when applied to different passages. Explain: The teacher corrects any misconceptions while students define terms, determine what would be an excellent visual representation of a transition word and what body action best represents that transition word. Extend: In groups, students visually represent the transition word through visual or kinesthetic means in new passages provided by the teacher. Evaluate: Students share their representations and act them out. The 5E Model was initially developed for science Instruction. This model is embedded in the Next Generation Science Standards (NGSS) as the best way for students to think scientifically. In one 5 E instructional model, using software, students design and then build an amusement park ride. Engage: Show video clips of different roller coaster rides and the riders’ reactions. Students can describe personal experiences riding roller coasters and brainstorm the reasons that roller coaster rides are thrilling. Explore: Students construct an accelerometer and then test it by having a student sit on a swivel chair and spin while holding the accelerometer. They will use data to calculate the g-force and the independent variable (mass of each student). Explain: Students access different amusement park websites to review the specifications in workbooks that detail the roller coasters in the park. Extend: Students use roller coaster software to aid them in a roller coaster design using free software on these sites: No-limits Coaster software, Learner.org, Real Rollercoaster Simulator. Students will consider the question, How do the rules of mathematics and the laws of physics govern the designs of engineers? Evaluate: Students show their understanding of roller coaster science by calculating the velocity, g-force, and centripetal force. Students also write about them turning their calculations into narrative descriptions (commercials) to explain how their design is calculated for thrills. Bybee, Rodger W., et al. "The BSCS 5 E Instructional Model: Origins and Effectiveness." A report prepared for the Office of Science Education, National Institutes of Health. Do You Practice the 5 Principles of Adult Learning When You Teach?